Ham House and Garden sits close to the south bank of the River Thames between Richmond and Kingston. Built in 1610, the house is filled with 17th century textiles, furniture and art. The layout of the formal garden enjoyed by the Duke and Duchess of Lauderdale has been re-created by the National Trust since 1975. 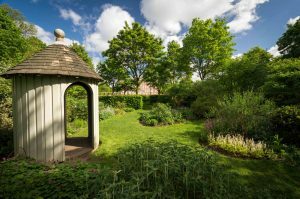 Eight square lawns or ‘plats’, a ‘wilderness’, a formal lavender parterre and a large, walled productive kitchen garden are among the garden features that give us a glimpse of 17th century life in a house of this calibre. Many formal gardens of the period contained a ‘wilderness’ – an area of trees and shrubs crossed with hedge-lined paths that were often set out in a geometric pattern. The woodland atmosphere the planting created was intended to be mysterious. 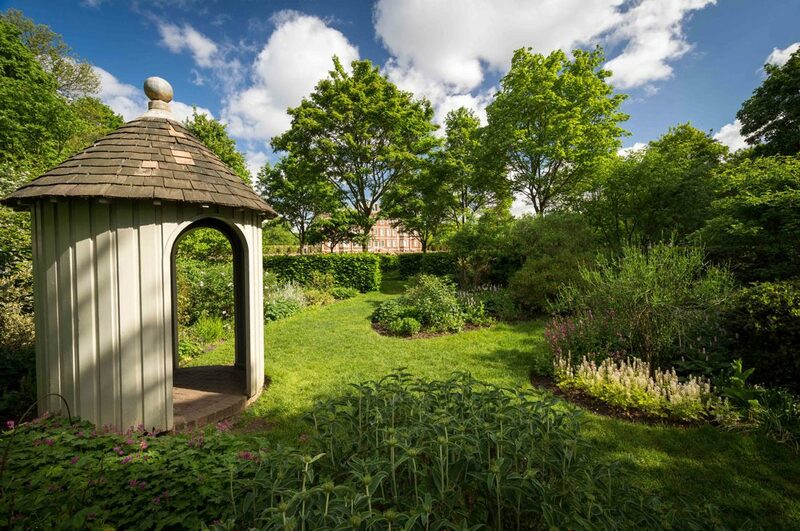 In contrast with the rest of the formal garden, it offered a sense of solitude and an opportunity for reflection. The ‘wilderness’ at Ham House recreates a 1671 plan. Hedges of hornbeam line grass paths that radiate out from its centre. The compartments the hedges form are planted with deciduous and evergreen shrubs. 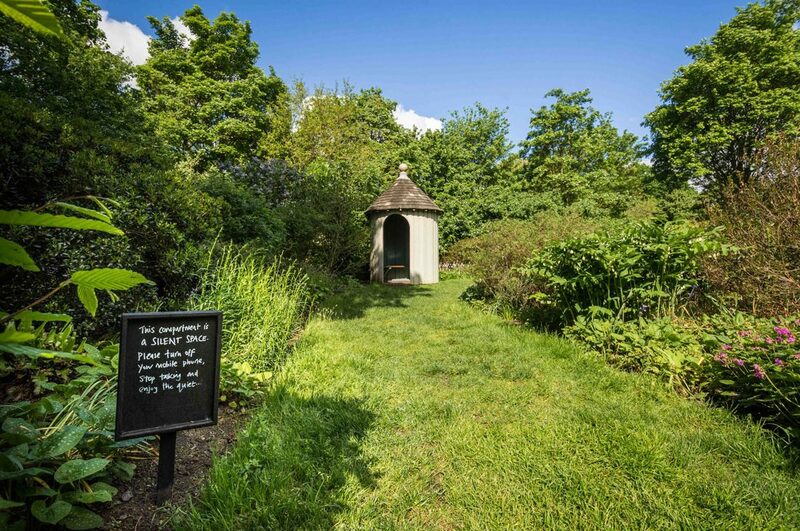 Several contain summerhouses and herbaceous planting. 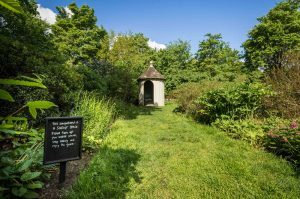 It’s in one such compartment that Silent Space will be running – giving visitors the opportunity to spend a short time in reflection, just as visitors in the 17th century might have done.